California Gov. 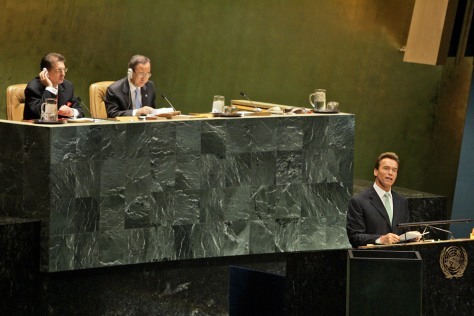 Arnold Schwarzenegger addresses the U.N. Climate Summit on Monday at U.N. headquarters in New York. U.N. Secretary-General Ban Ki-moon, top right, earlier opened the summit by arguing that "inaction now will prove the costliest action."